7' Mini Pizza just for you personal preference. These indiviual pizzas come in the following flavors; -Pepperoni Pizza $3.25 -Cheese Pizza $3.00 -Sausage Pizza $3.25 -Sausage Mushroom Pizza $3.50 -Deluxe Pizza $3.75 Call for any individualized toppings. 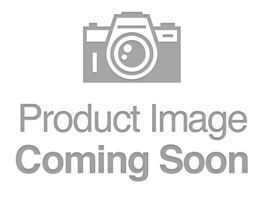 Bacon Cheddar Bratwurst This unique bratwurst is a pork based product with a unique mixture that includes cheddar cheese and bacon bits. Badger Bratwurst This unique bratwurst is a pork based product with a unique mixture that includes mozzarella cheese, red peppers, and spices. BBQ Bratwurst This unique bratwurst is a pork based product with a unique mixture that includes paprika, natural hickory smoke, and garlic. Beef Bratwurst Our bratwurst is primarily made with ... beef with added ingredients including white pepper and other spices stuffed in hog casings. 16 Packages weighing approximately 3.25 ounces 6 Regular Beef Jerky 3 Honey BBQ Beef Jerky 3 Pepper Beef Jerky 2 Jamaican Beef Jerky 1 Ghost Pepper Beef Jerky 1 Carolina Reaper Beef Jerky PRICE INCLUDES SHIPPING! Beer Bratwurst This brat has just a hint of that good ol' Wisconsin Beer Flavor. Bloody Mary Bratwurst This unique bratwurst is a pork based product with a unique mixture that includes tomato powder, celery salt, garlic, onion, horseradish, and lemon oil. Bob's Bratwurst This is an old time recipe from a former employee Bob Lange. It is similar to our original bratwurst but has added nutmeg and black pepper. This is a seasonal product. 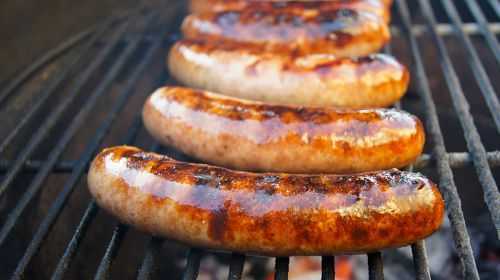 Brewers Tailgate Brat For all you Milwaukee Brewers fans this brat is for you. 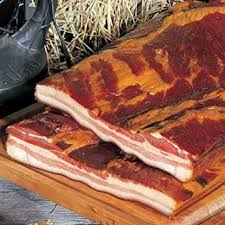 If you like bacon cheeseburger with pickels you would love this brat. It has all the fixing for a cheeseburger right in the bratwurst. Cajun Bratwurst The cajun bratwurst was one of the fist three bratwurst that Leroy Meats sold. It's nothing special just a Bratwurst that is loaded with cayenne pepper to give that perfect heat for you spicy food lovers. 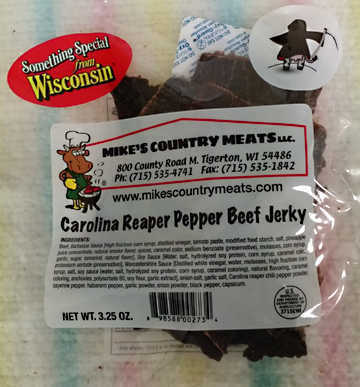 Our Carolina Reaper Pepper Jerky is HOT and SPICY, even hotter than our Ghost Pepper Jerky ... order online today! 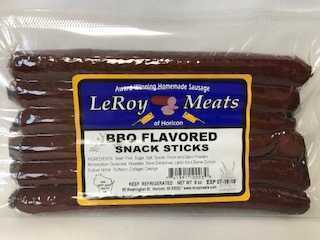 © 2016 - 2019 LeRoy Meats, All rights reserved.